Just enough north of town to smell the fresh air, reach out and touch mountain ranges, and take a short drive to Lake Pleasant for an afternoon of boating. 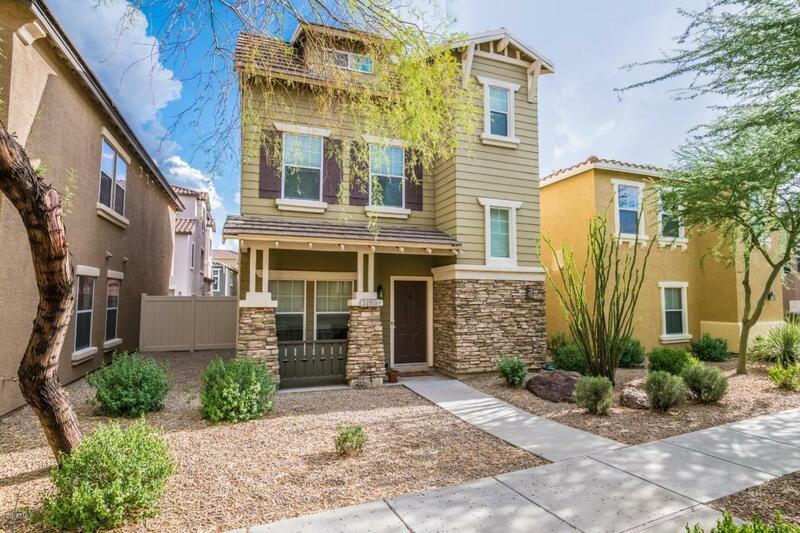 3 story hip townhome -- largest sq. footage in complex; 3br, 2.5 bath. 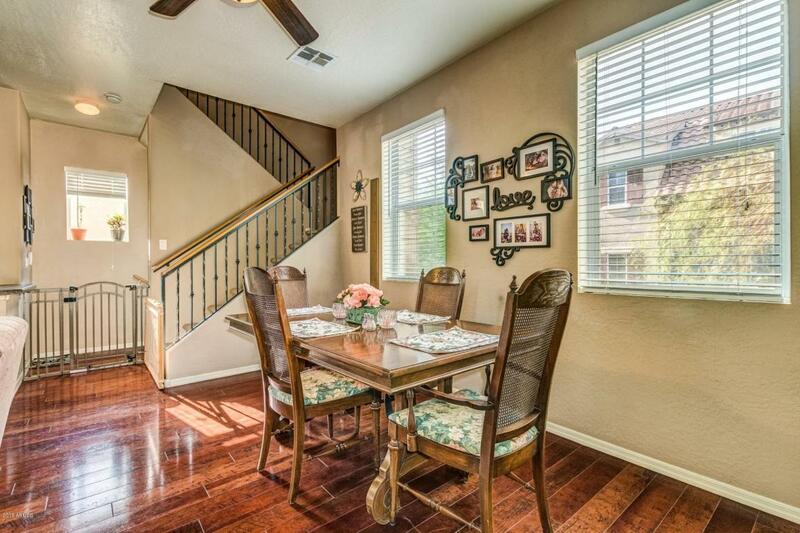 Downstairs could be a den/office/fitness room & 1/2 bath with access to attached 2 car garage. Main floor hosts kitchen and eating area with two bedrooms and full bath. Third level is Master suite complete with full bath. Total privacy! 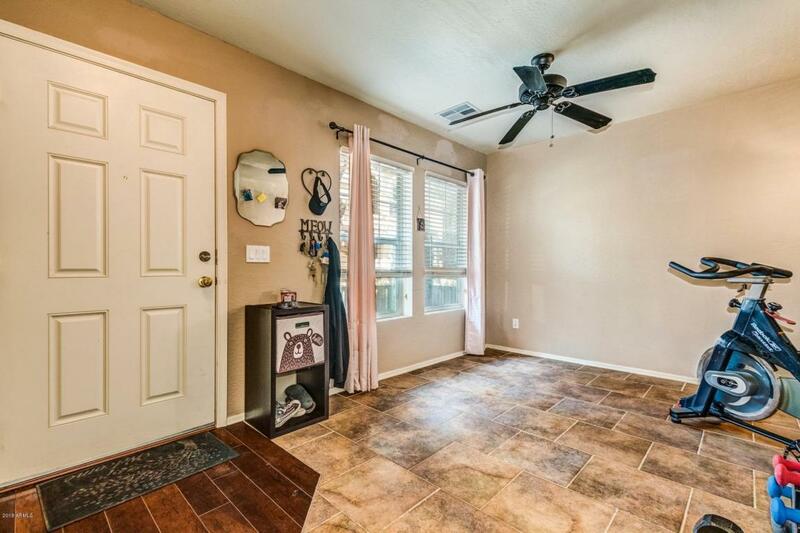 Wood blinds, ceiling fans, Wood plank floors & berber carpet. Close to biking & walking path. HOA offers spa & 3 community pools, playgrounds, tennis courts, volleyball courts, basketball courts. 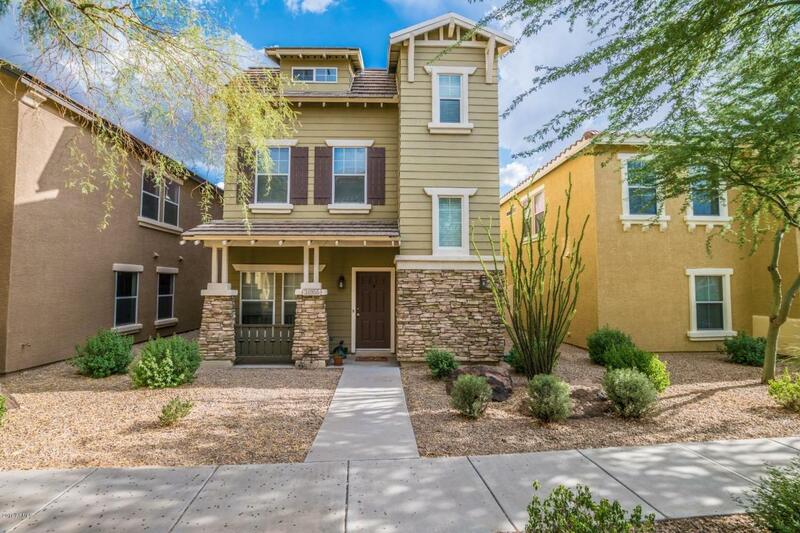 Very low maintenance home with front landscape covered by the HOA.